Royal Jordanian during the month of April 2018 schedules 2 round-trip flights on Amman – Mumbai route, operating under charter basis. The airline’s Airbus A319 aircraft is scheduled to operate this service on 11APR18 and 15APR18 from Amman. Is it for tourism companies? 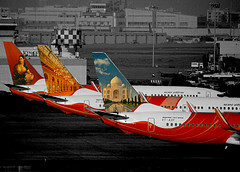 It will be great for Royal Jordanian to be back at BOM !